Sony has introduced the new Cyber-shot HX350, a digital camera, despite its compact size, features 50x super zoom. The camera is targeted at photographers who are serious about the craft, but who need something smaller than a DSLR for certain situations. 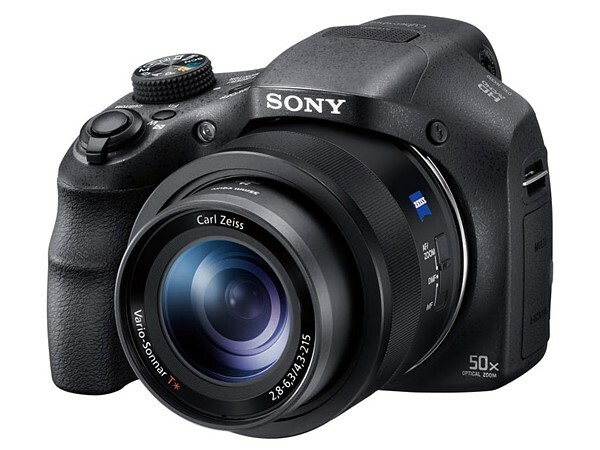 Joining super-zoom feature is a Sony Exmor R CMOS 20.4MP sensor and the BIONZ X image processing engine. The HX350 features convenient options like a manual ring for smooth adjustment of zoom and focus, also an easily-accessible mode dial and custom button for quick adjustment of settings. It has full PASM controls. This camera is capable of 10fps burst shooting and can record video up to 1080p at 60fps. There is a tiltable 3-inch LCD display with a 921k-dot resolution but sadly, there is no Bluetooth, Wi-Fi or NFC on board. It uses a USB 2.0 for the interfacing with a PC for transferring content over and Micro-HDMI port for viewing the content you’ve shot directly on an HDTV. There’s not any microphone or headphone socket present. In order to prevent the camera shake, the new HX350 retains the optical SteadyShot feature which helps keep the video steady. The inbuilt Intelligent Active Mode keeps full-HD videos sharp and blur-free with Sony’s proprietary frame analysis technology. This model is announced for the European markets and is said to go on sale for €449 starting next month.